Well at the same time, around 32,000 people have taken part in the so called ‘yellow vest’ protests across France, including central Paris where some scuffles broke out with police. 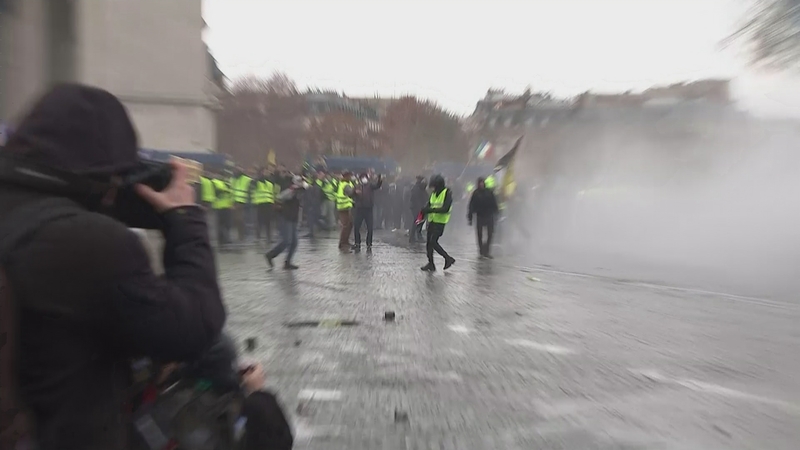 More than 50 people were arrested while armoured vehicles were set up near the Arc de Triomphe to prevent protestors from breaking through. The protests against President Macron’s economic policies have now been going on for nine weekends running. Paraic O Brien was in Paris.